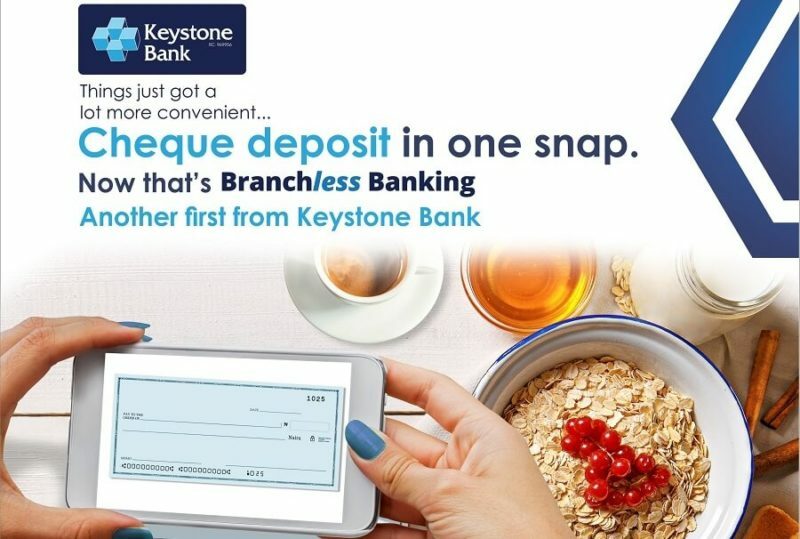 Keystone Bank Limited has introduced a ‘Cheque Deposit’ feature in its mobile banking application, ‘Keystone Mobile App’. The feature which is the first in the Nigerian banking sector enables customers to pay cheques into their accounts at their convenience through their mobile phones even with zero data. This is coming days after the lender launched an online messaging banker, Oxygen, to help customers carry out their banking transaction such as accounts opening, fund transfer, bills payment, airtime top-up, purchase of movie tickets, balance enquiry, and lots more upon request. Confirming the development, the Group Managing Director/CEO of Keystone Bank Limited, Dr. Obeahon Ohiwerei stated that the cheque deposit feature is in line with the institution’s core value to deliver convenient and reliable solutions to its customers. Other notable features of the mobile App are, zero data banking (which enables customers enjoy banking services on their mobile phones without data), easy account opening, convenient self- booking and liquidation of fixed deposits, an expanded list of bill-payment options and easy activation of standing instructions & recurrent future payments.